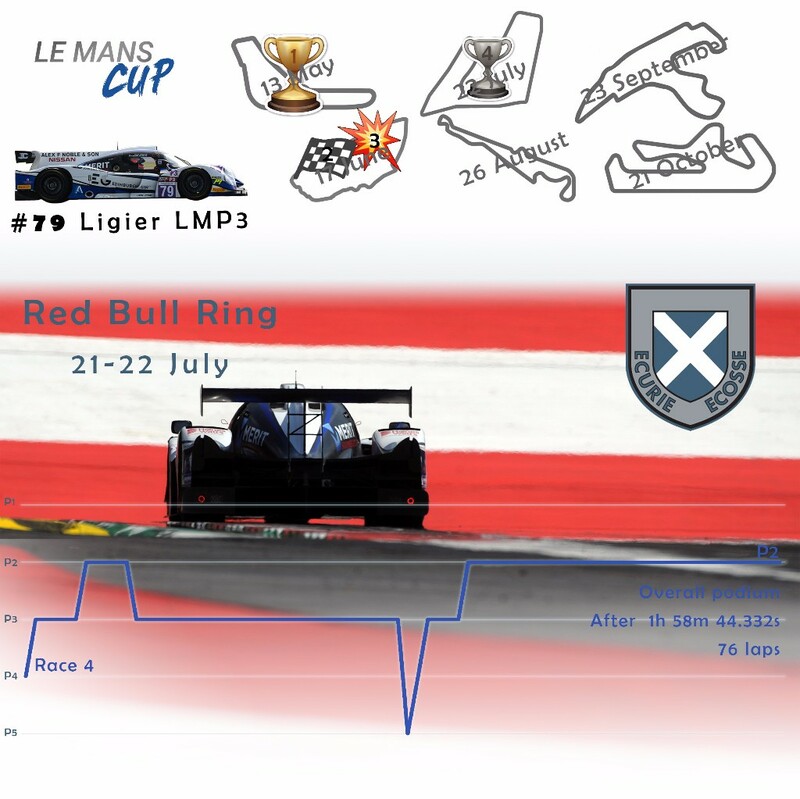 Ecurie Ecosse finished a fighting second this weekend (21-22 July, 2017) as the Michelin Le Mans Cup reconvened for round three of the championship at the Red Bull Ring in Austria. It was a hard-fought result, but unfortunately, with main rivals DKR Engineering taking the victory, the Nielsen Racing-run squad lost ground in the title race, but are confident that they will remain a challenger on the faster circuits that dominate the rest of the calendar. The team started the race weekend in style with Colin Noble setting the pace in the first free practice session, before repeating the same feat in the second before being bumped to fifth in the closing stages. Tony Wells took charge in qualifying, making gains throughout the short session. A track limit infringement deleted his best lap however before his final tenth lap saw him heading for pole, only to encounter traffic in the final sector. This left Ecurie Ecosse a frustrated fourth on the grid. Wells made a great start from the second row of the grid, braving it around the outside to gain position at the first turn over the #99 to run third before being jumped at the safety car restart by the #3 race-winning entry. Noble took over in third position and made light work of gaining second position, but with another safety car period cost him time and he resumed 28 seconds behind the race leader. Noble set fastest lap after fastest lap to narrow the margin to 13 seconds but ultimately had to be content with P2 on this occasion. Ecurie Ecosse prepares for the Ignition Festival in Glasgow (4-6th August) where we will celebrate the 60th anniversary of the famous 1-2 Le Mans finish. The next race for the team will be the LMP3 Cup at Snetterton on August 12-13th. Le Mans Cup returns on the 26th of August in Paul Ricard. For more information about the Ignition Fest please visit the event website.